All of us have experienced an occasional night or two of sleeplessness. Minor stressors, like an upcoming exam, a disagreement with a friend, or a vacation may cause us to have difficulty falling asleep or staying asleep. Major changes or stressors, such as a job loss, a divorce, the death of a loved one, or moving may lead to prolonged periods of insomnia. However, in chronic insomnia, people continue to have impaired sleep, sometimes for months or years after the stressor has ended or resolved. That’s because other factors begin to interfere with your ability to sleep, and these factors maintain the insomnia beyond the duration of the stressful event. If you have been experiencing insomnia for several months or years now, you have probably tried many strategies to help you sleep better. Sometimes, these very strategies actually contribute to your insomnia, making it worse or more enduring. For example, one of the most common ways people try to “catch up” on sleep is by going to bed early or staying in bed longer in the morning to allow themselves the chance to sleep. While this strategy seems to make sense, spending too much time in bed is one of the main factors that maintain insomnia. In other words, repeatedly spending more time in bed leads to more difficulty falling asleep, longer awakenings in the middle of the night, and more light, broken and unrefreshing sleep. It will also make it less likely for you to sleep well on subsequent nights. Prescription medications can be effective at helping you sleep and may be an acceptable solution for brief episodes of insomnia, such as during a period of high stress. However, sleeping pills have a number of drawbacks and are not designed or recommended for long-term use. The most effective non-medical form of treatment for insomnia is Cognitive Behavioural Therapy for Insomnia (abbreviated CBT-I). CBT-I is a multifaceted approach, typically including the following components: sleep restriction therapy, stimulus control therapy, relaxation training and cognitive therapy. CBT-I is well-researched, and the benefits of this treatment have been demonstrated over and over again in research studies. CBT-I is a short-term (approx. 6 sessions) and highly structured program that targets the factors that maintain insomnia (the reasons why you continue to have difficulty sleeping). Because CBT-I eliminates or reduces the factors that maintain insomnia, it continues to be effective in helping you sleep better for years to come. Although CBT-I is straightforward and non-invasive, it can be difficult to apply the strategies on your own. Therefore, it is best undertaken with a trained professional to help guide you through the treatment steps. CBT-I is effective both alone and in combination with prescription sleep aids, and can also help those who would like to reduce or eliminate their use of sleeping pills. 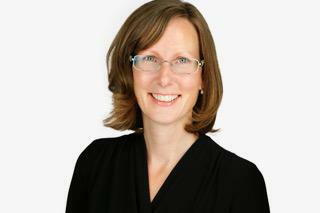 Dr. Linda Schattmann is a clinical psychologist who treats adults at the Guelph Psychology Centre.